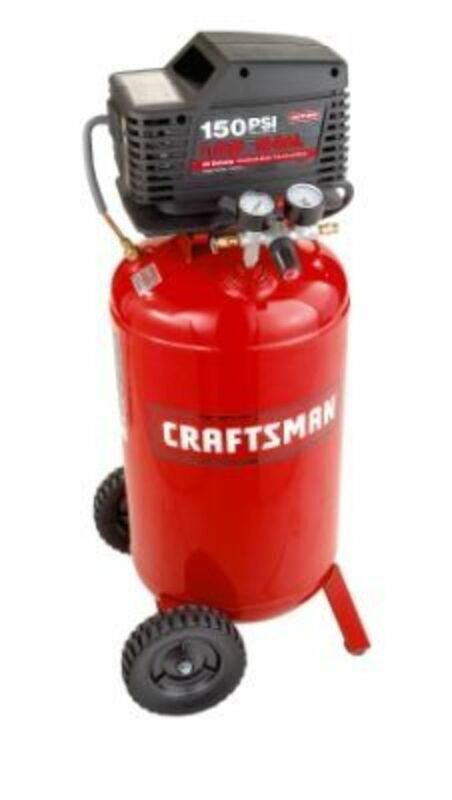 My Craftsman Model 919.165230 compressor with 25-Gallon tank has served me well for over 12 years. I have used it to paint motorcycle parts, power a cut off tool for automotive body work, sandblast the electrodes of spark plugs, and an impact wrench and multiple other air tools. Lately my decade old compressor runs continuously and tank pressure only gets up to 60psi. Time for an air compressor overhaul! 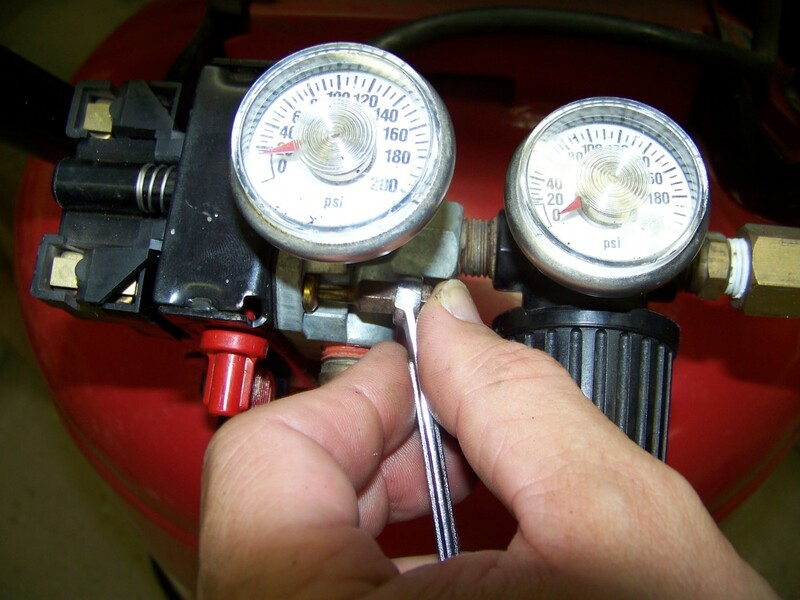 You must remove power and purge the tank of air before proceeding with the air compressor overhaul. Removing power is easy, just unplug it from the wall outlet. Purging the tank may not be as self evident. 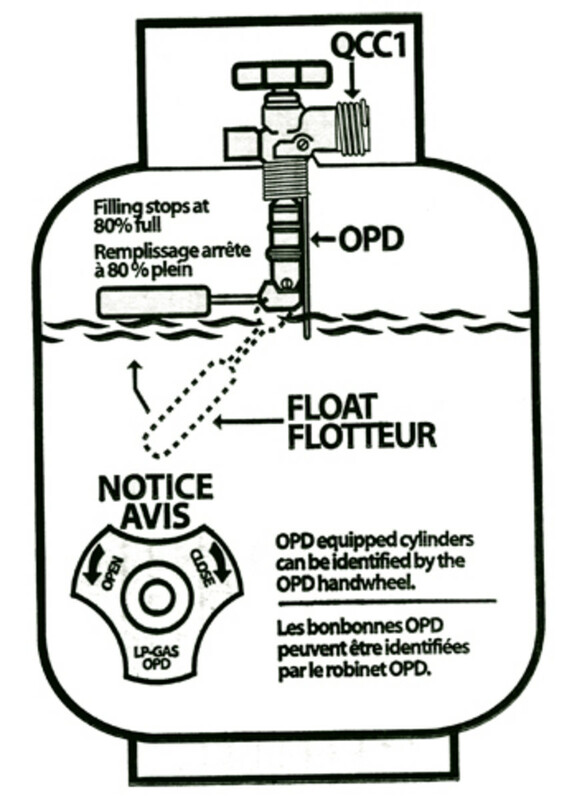 In order to purge the tank pull the ring on the safety valve (circled in picture). If the tank is partially full the sound of the rushing air can be deafening as it rushes out of the ports of the safety valve so be warned! 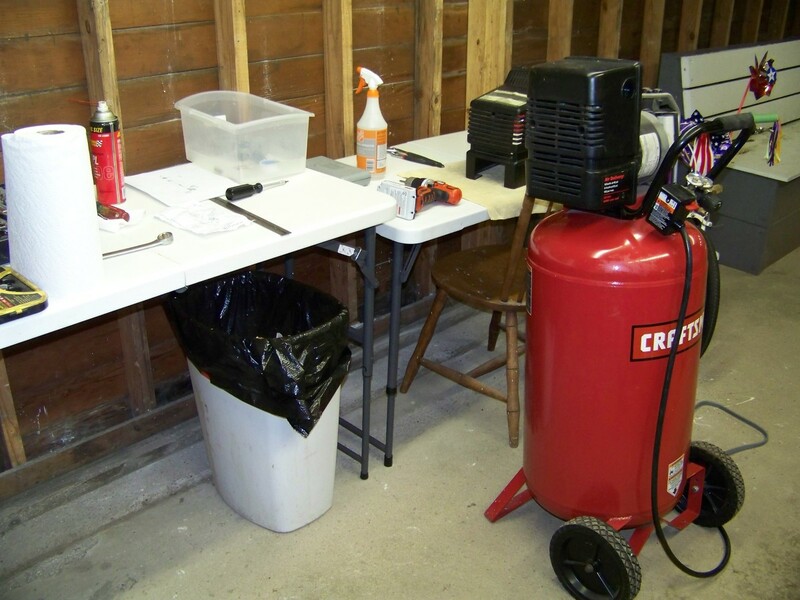 Set up a proper work area when working on your air compressor. I used a couple of folding tables we have around for parties. Assemble all tools required and also plastic containers to hold discrete parts. In addition, a can of WD40 spray lubricant, paper towels, and I spray bottle with water to check for air leaks is essential. The motor and compressor assembly is enclosed in a two piece plastic shroud. The smaller front shroud is attached to the compressor using two Torx screws. The rear shroud is attached to the motor with one Torx screw. The front and rear shroud join together with built-in clips. The shroud serves several purposes. 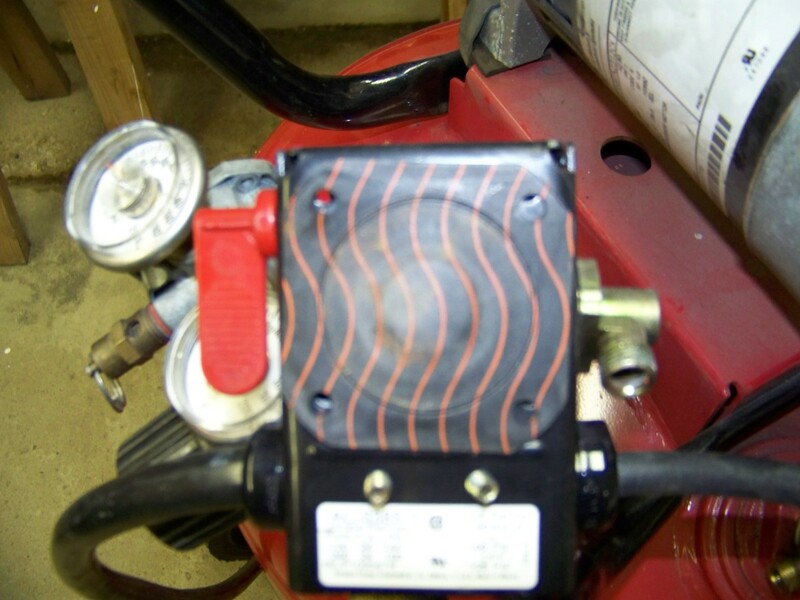 It keeps you from touching the air compressor head which can get hot during use. It protects you from getting cut from the blades of the built-in cooling fan, and isolates you from contact of electrical parts such as the the motor and starter capacitors. 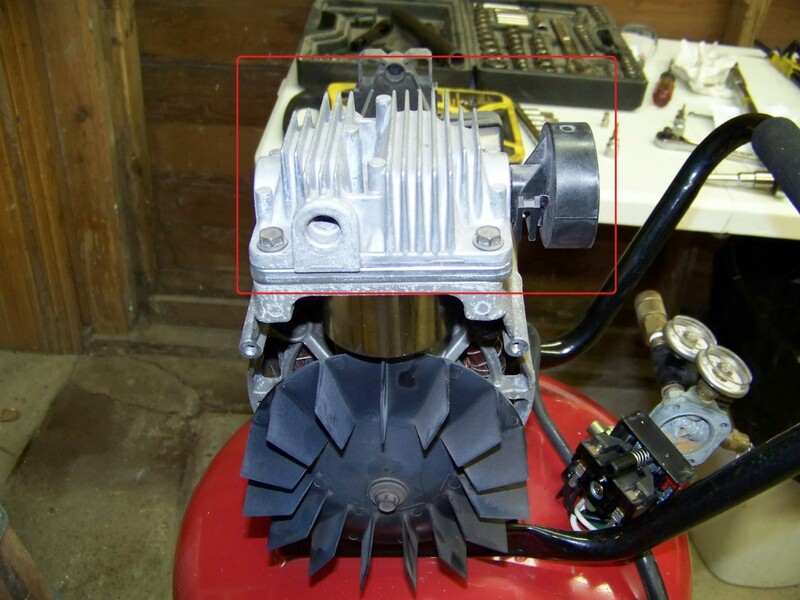 Remove the compressor head, circled in red. It is held in place with four bolts. The black plastic piece to the right is called the muffler. It is where the air enters the compressor. I believe that it "muffles" the sound of air rushing into the air intake. Removal of the compressor head exposes the valve plate assembly. This allows air to enter the compressor but prevents it from escaping through the muffler intake. Dissemble the valve plate assembly. The metal reeds are held in place by small bolts. Check the reeds for warping or cracking. 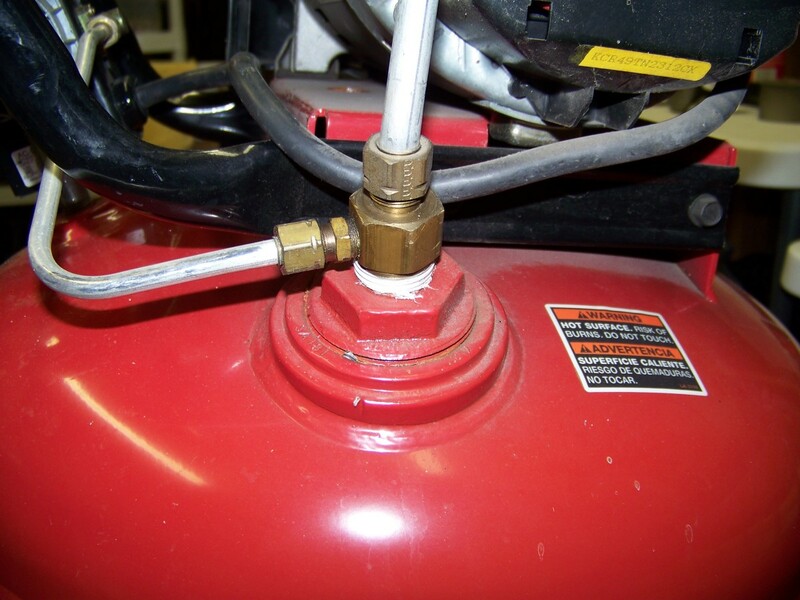 They need to provide a good seal against the valve plate in order for your air compressor to reach maximum pressure. The fan connects to the end of the motor shaft and is held in place with one bolt. 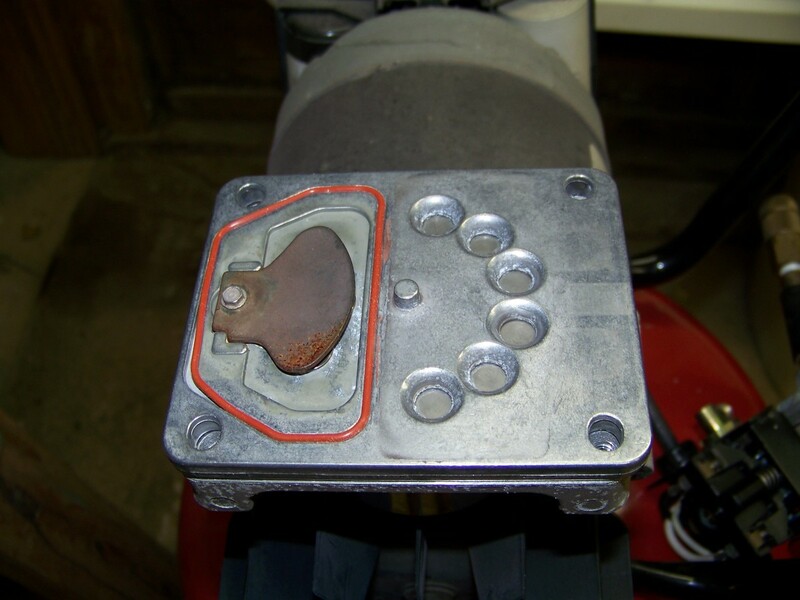 You need to remove the fan in order to loosen the bolt that holds the connecting rod onto the shaft. 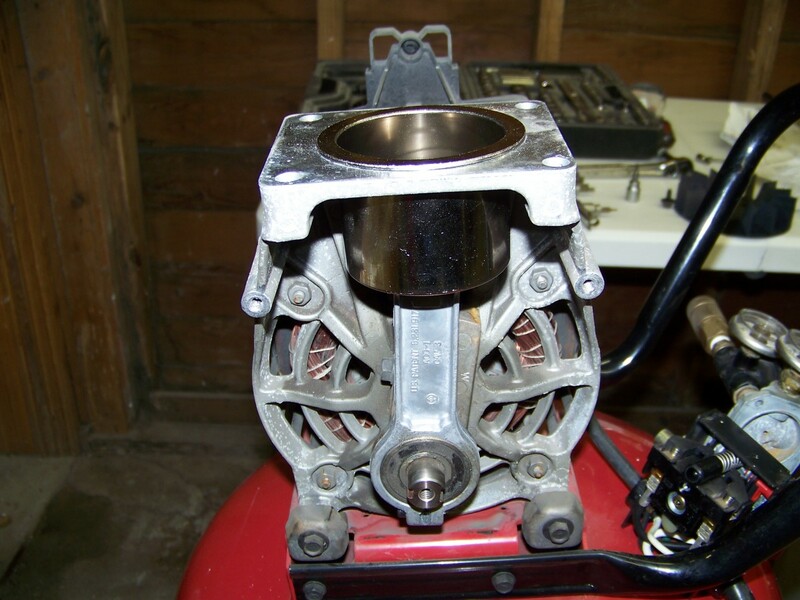 Once the fan is removed, the connecting rod can be removed from the bearing with one bolt at the base. The cylinder sleeve is held in place by the valve guide and head. Since the head and valve guide are removed, the cylinder sleeve can be easily removed by pulling it straight up and out. 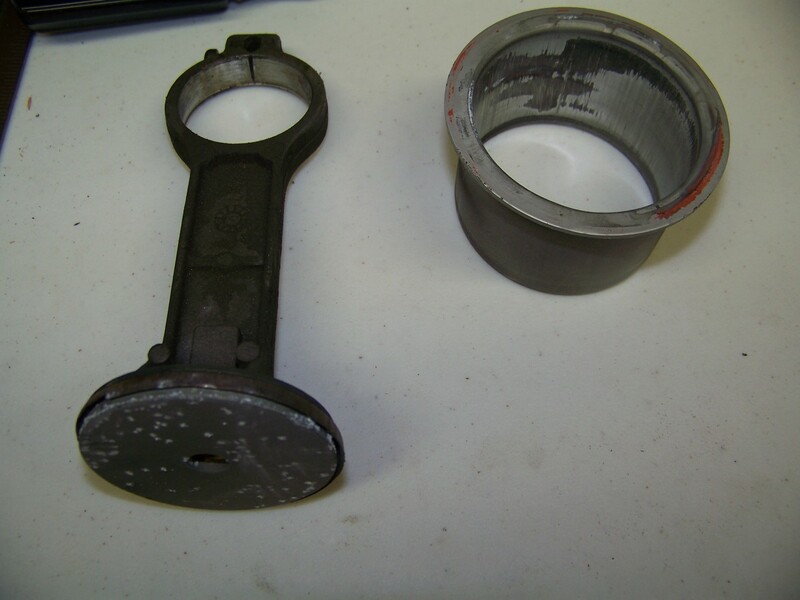 Once the cylinder sleeve is removed, the connecting rod can be pulled off. Under the connecting rod is a counterbalance weight. It is important to observe the orientation of the counter balance weight in relation to the connecting rod, over-wise, excessive vibration will occur. On my compressor, the counter balance weight is pointed up with the connecting rod is at the bottom of it's stroke. 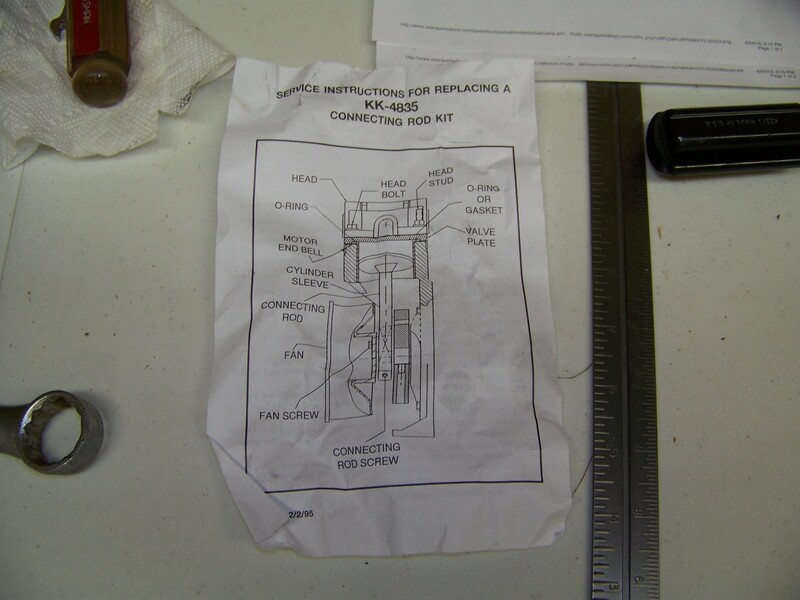 Inspect the cylinder sleeve for damage. It is quite obvious that the walls of this cylinder sleeve has scratches,scoring, and should be replaced. 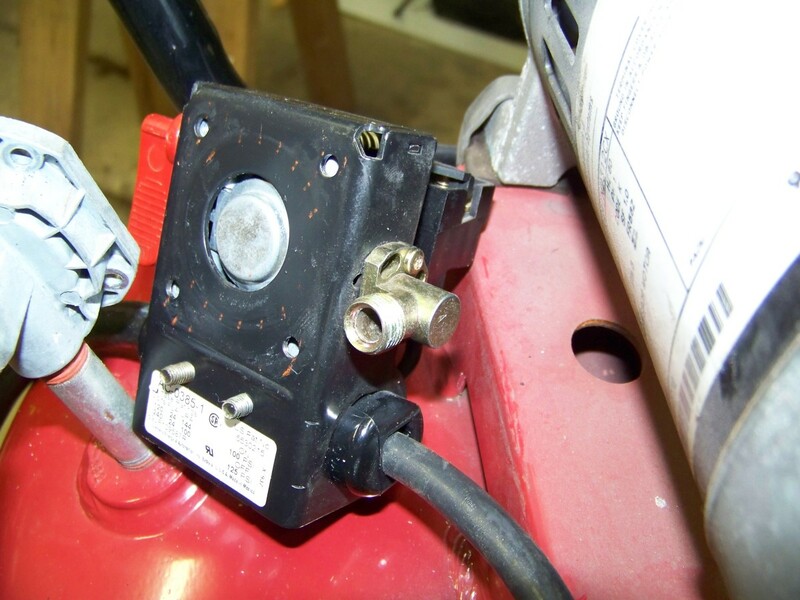 Pressure Switch Disassembly and Inspection - Make sure power is removed from the air compressor before proceeding! The pressure switch is the black box located to the left of the gauges. 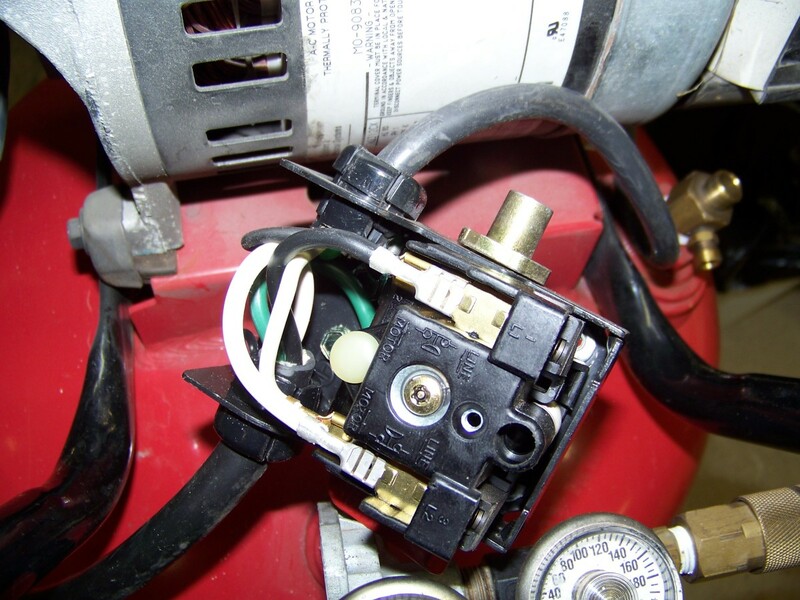 It turns the compressor motor on and off in order to maintain tank pressure. Remove the four Torx screws to separate the body of the pressure switch. Inspect the rubber membrane for holes. Inspect the electrical connections for signs of arcing. Press in the silver center part to make sure the contactor moves freely. The check valve is located on the top of the tank towards the end of the motor. There are two aluminum lines that connect to it. 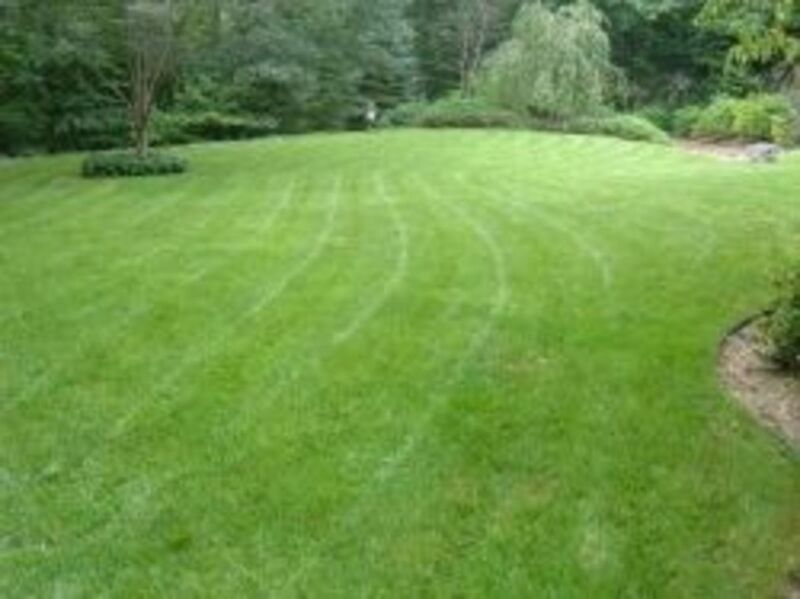 These lines need to be removed then you can use a large Crescent wrench to unscrew the check valve from the tank. When the compressor turns off, the check valve stops the air from coming out of the tank, and bleeds the pressure that is in the discharge line through a small tube. This tube connects to the pressure switch and releases the air there. If the check valve sticks, air can leak through this tube, and cause the compressor to trip the electrical breaker upon refill or recycle. The check valve just moves in and out but the important thing is whether it seals when it closes. If the motor runs normally and pressure takes a long time to build and the cylinder sleeve looks good then it is likely a problem with the check valve. You can usually clean the check valve by removing it from the tank and flushing it with WD40 a few times. If the WD40 doesn't seem to help, and you still have a problem building up tank pressure, then this part should be replaced. You can get parts for your Craftsman Compressor directly from Sears Parts Direct. What I recommend is that you use Sears Parts Direct to look up part numbers then purchase the parts from Amazon at a fraction of the cost! This is the Connecting Rod Kit I used during the overhaul of my Craftsman Compressor. It included easy to follow install instructions. This is the Replacement Check Valve I used during the overhaul of my Craftsman Compressor. Most Connecting Rod and Cylinder Sleeve kits come with replacement gaskets used between the head and cylinder. In addition, detailed instructions including bolt torque specs. 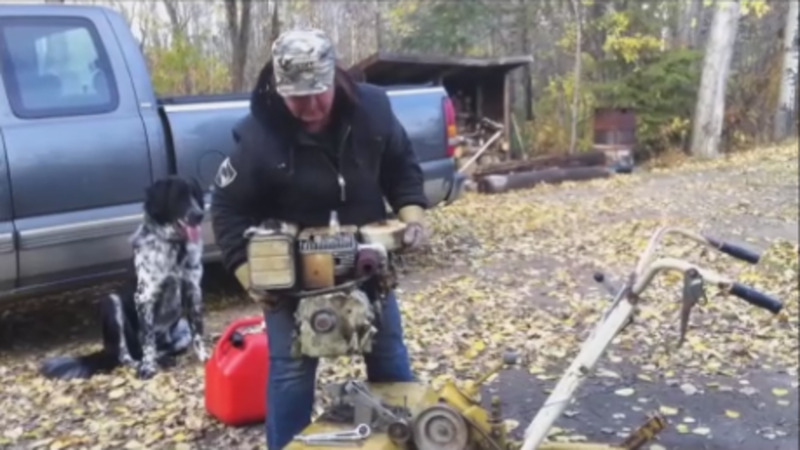 Reassembly of your air compressor is pretty straight forward. Just follow the steps above in reverse order and your vintage air compressor will function like the day it was purchased. Please note, it is important to replace the cylinder and head gaskets during the reassembly process. It is important to test your rebuilt air compressor after reassembly. 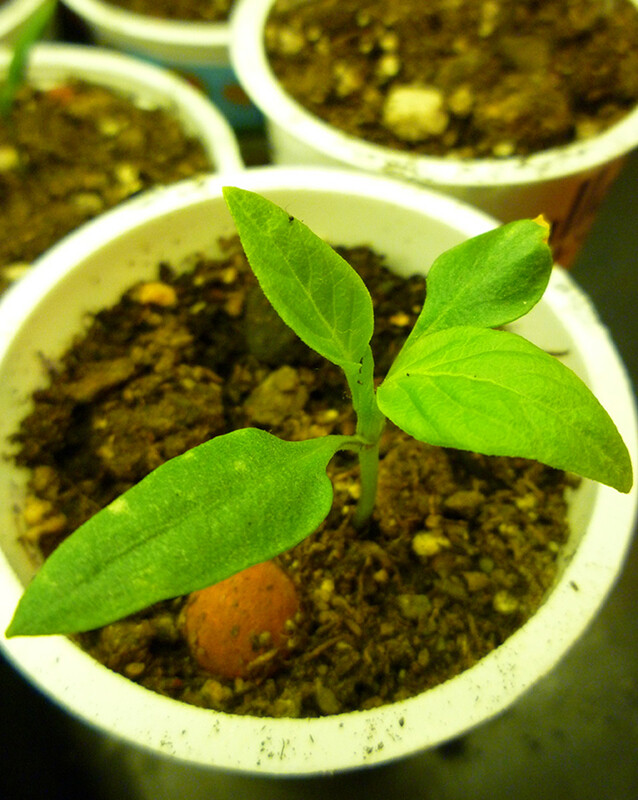 Plug it in, power it on and let it get up to peak tank pressure. 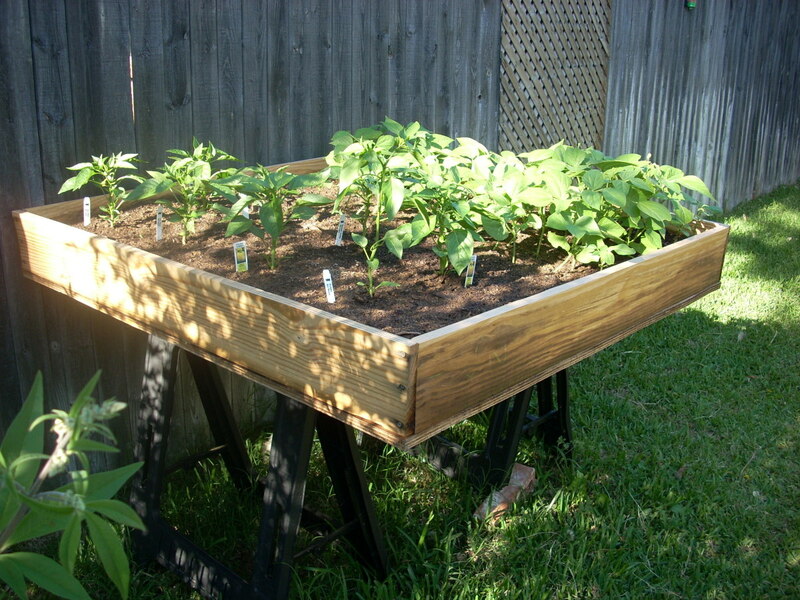 Once up to tank pressure turn it off at the pressure switch and unplug it from the wall outlet. Listen for hissing sound of air escaping from joints. Spray a little bit of water around joints to detect any small leaks. 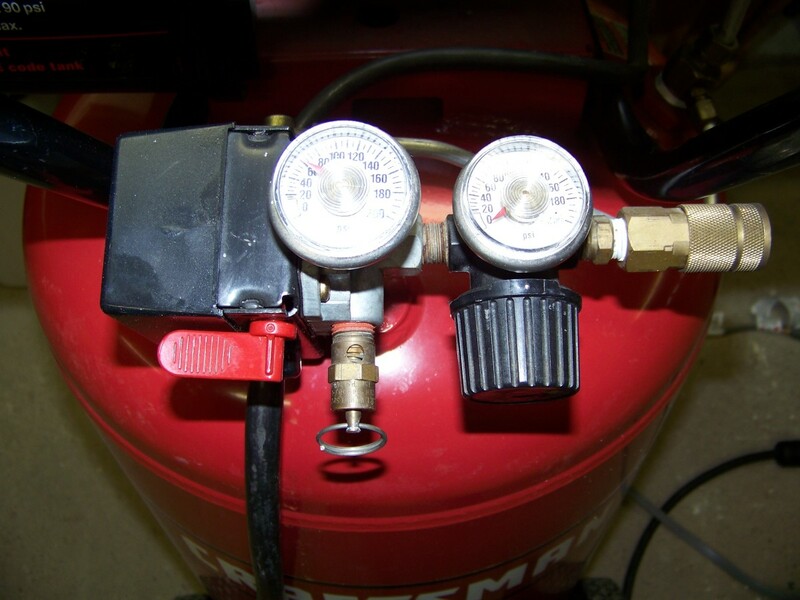 Thoroughly dry the air compressor before power it up again. If leaks are detected try remedying the leaks by tightening the connection. It that does not work you may need to purge the tank, remove the leaky part and put some automotive sealant on the threads to form an airtight seal. 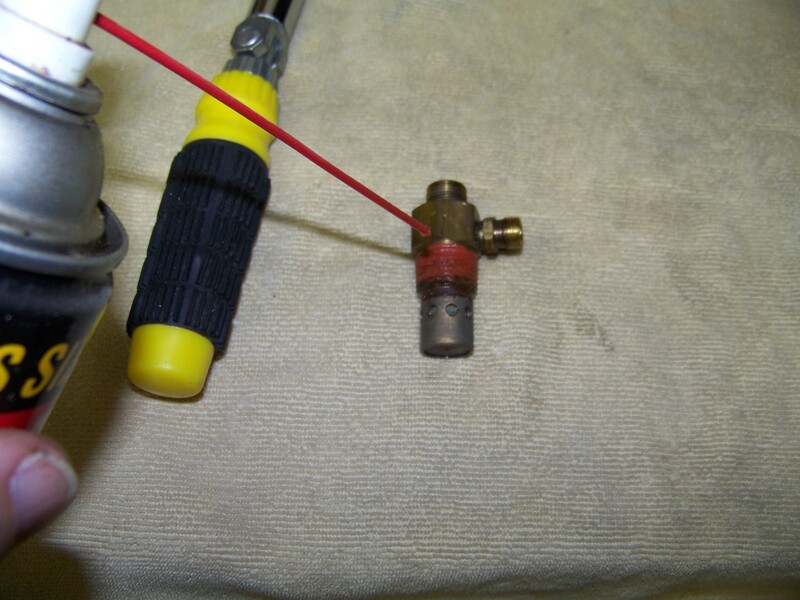 Retest for leaks once the part is threaded back onto the air compressor and properly torqued. You too can troubleshoot and repair an air compressor. 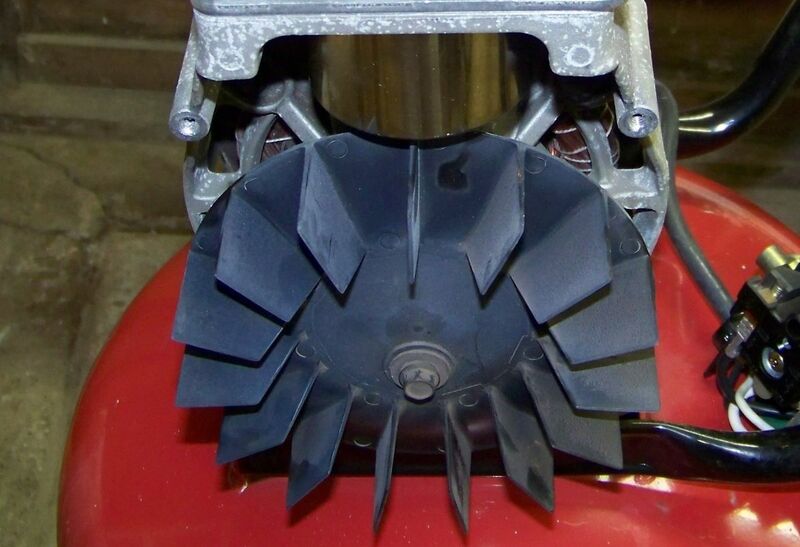 And why not, parts are readily available and air compressors are relatively simple appliances to repair. 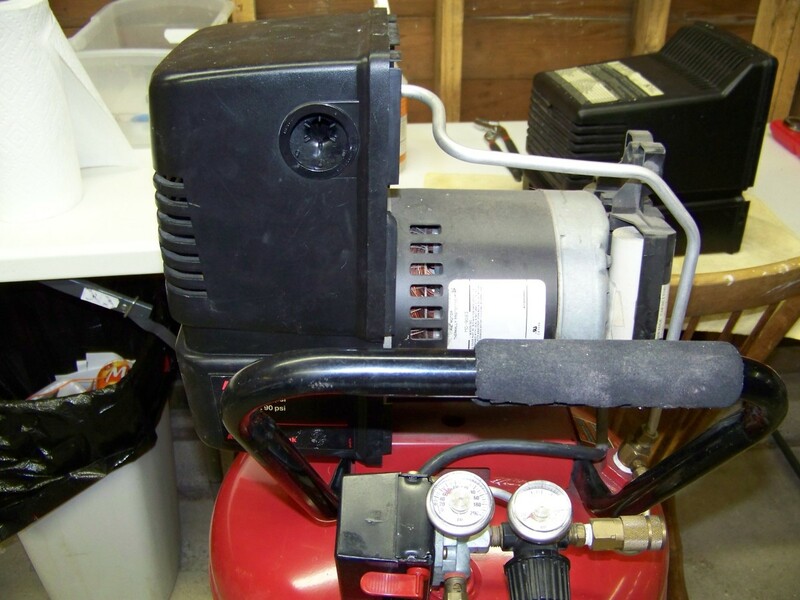 Repairing your air compressor could potentially save you hundreds of dollars, the cost of a new one. 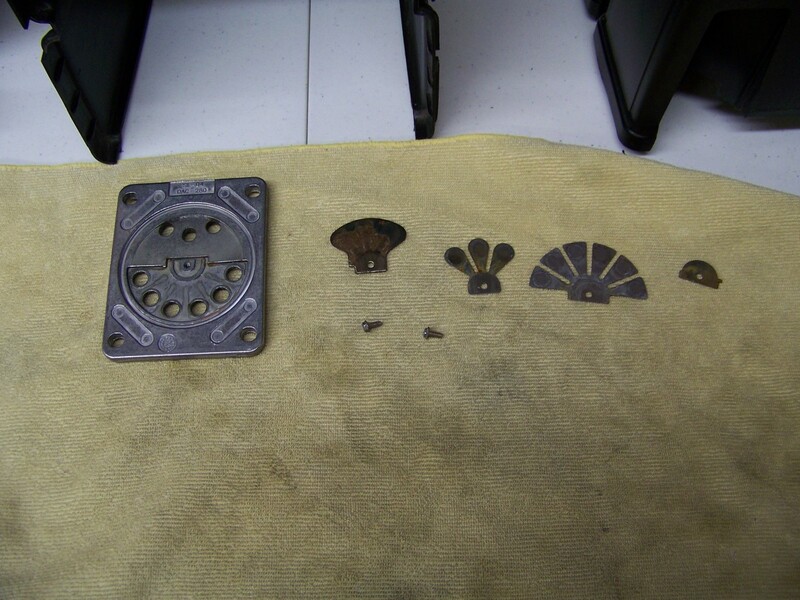 These are the steps I took in repairing my air compressor and it is functioning like new! I expect to get many more years of service out of my Craftsman Air Compressor.